Discussing end-of-life choices can be difficult, but especially when you are facing a life-threatening medical condition, such as cancer. Because the law is often racing to catch up with science and technology, states are beginning to pass laws that give people more options when it comes to end-of-life. These laws are often referred to as “Death with Dignity” laws. 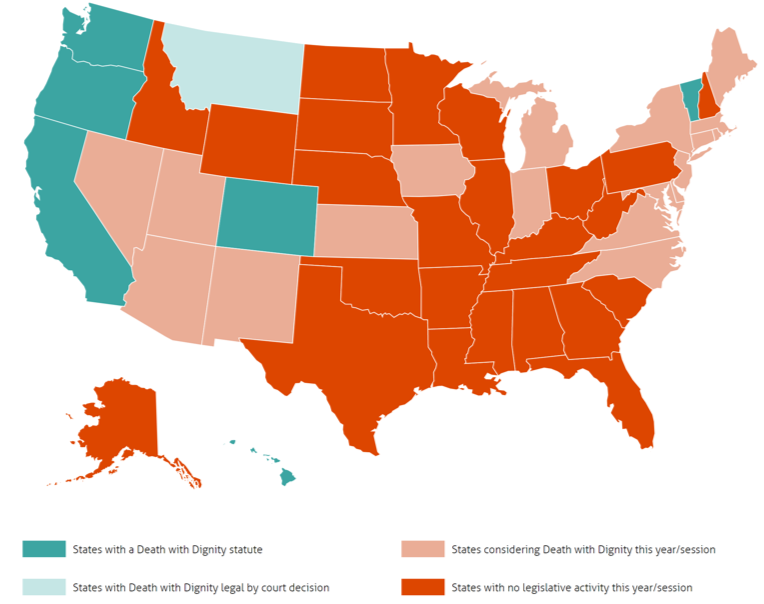 What are Death with Dignity Laws? As we talked about on our “Hot Topics in the Law” webinar, death with dignity laws, also known as physician-assisted dying or aid-in-dying laws, is an end-of-life option that allows certain terminally ill people to voluntarily and legally request and receive a prescription medication from their physician to hasten their death in a peaceful, humane, and dignified manner. These laws stem from the basic idea that individuals who are terminally ill should be the ones to make end-of-life decisions and determine how much pain and suffering they should endure, not the government. How do individuals access death with dignity protections? Be diagnosed with a terminal illness that will, within reasonable medical judgment, lead to death within six months. How does this option benefit individuals with cancer? By adding a voluntary option to the continuum of end-of-life care, these laws give patients dignity, control, and peace of mind during their final days with family and loved ones. One of the most important assertions made by advocates for death with dignity laws is that those who assist individuals in these limited circumstances, and those who take the drugs to aid in their own death, are not considered engaging in suicide, homicide, or assisted suicide. This distinction is particularly important to ensure that participating individuals do not face criminal charges and that individuals who chose to end their lives within these parameters will still be eligible for insurance benefits (i.e., life insurance). Deathwithdignity.orgalso gives guidance on how to find a doctor who participates. Montanadoes not currently have a statute safeguarding physician-assisted death. 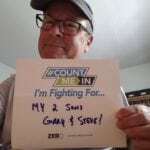 In 2009, Montana’s Supreme Court ruled nothing in the state law prohibited a physician from honoring a terminally ill, mentally competent patient’s request by prescribing medication to hasten the patient’s death. Since the ruling, several bills have been introduced to codify or ban the practice, none of which have passed. There are a handful of states that have proposed legislation or are looking to pass death with dignity laws through voter propositions. 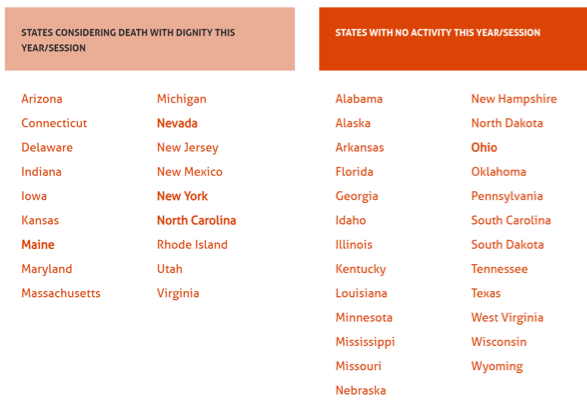 To keep track of what is happening in your state and to engage in advocacy around death with dignity legislation, visit: https://www.deathwithdignity.org/news/2019/02/initial-snapshot-2019-legislative-session/. For Estate Planning and End-of-Life Care resources, visit: triagecancer.org/estateplanningor watch our “Hot Topics in the Law” webinar. This webinar provides the latest updates on federal, state, and local laws that have an impact on the cancer community, including medical marijuana, death with dignity, and paid leave.